I putting the recipe more for the picture than for the recipe as such as it’s not very complicated. This is the recipe of my mother in law with a tiny change. I would have loved to make a small hole inside to taste it but it needs to look good so fingers crossed!! Peel and cut in small pieces the onion. Peel and cut in it’s half each potatoes and then slice them in small pieces of 2 to 3 ml wide approximately. Meanwhile, put the 280ml of oil in a large frying pan. Fry the potatoes and onions together, make sure it doesn’t get brown and stir often to ensure that the potatoes are fully cooked. 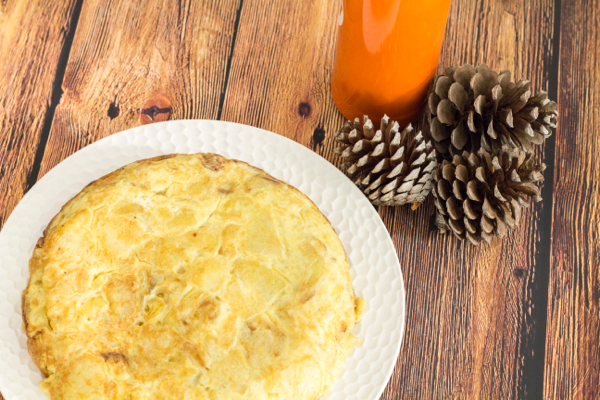 Let’s not full ourselves, a spanish tortilla with no oil is not going to taste the same. I’m not in favour of frying, in fact I don’t like it and I tried many times to put very little oil and it never tasted like my mother in law! After about 15mn once your potatoes are well cooked, remove the potatoes from the oil. Meanwhile, beat the 7 eggs, add the salt, a little bit of black pepper and a pinch of dry garlic. 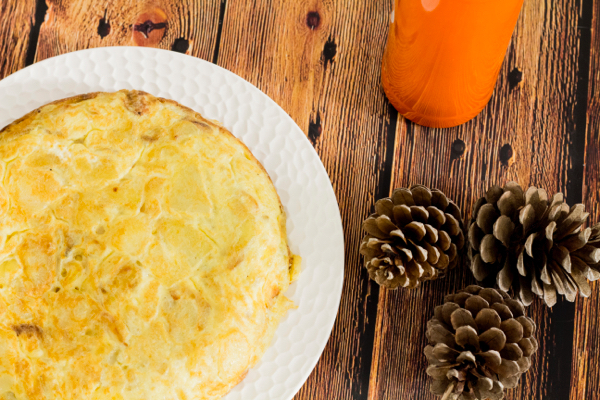 Take a smaller frying pan, ideally one that is deep – your tortilla will look better small and fat than big and thin. Put at least 3 or 4 tablespoon of the same oil we used. While it’s heating up, put the cooked potatoes & onions in the beaten eggs, mixed to ensure it’s fully covered, then put the mixture in the frying pan. Cook the first 3 or 4 minutes at maximum, ensure it doesn’t burn – then reduce the gas. Make some small holes with your wooden spoon to ensure the base is well cook. 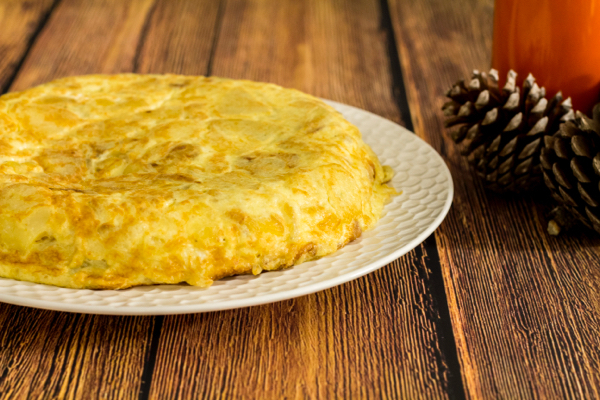 Take a tortilla lid or a big plate, return your tortilla on the other side, put back in the frying pan and continue to cook. You should do this twice in theory but I usually keep it like that. 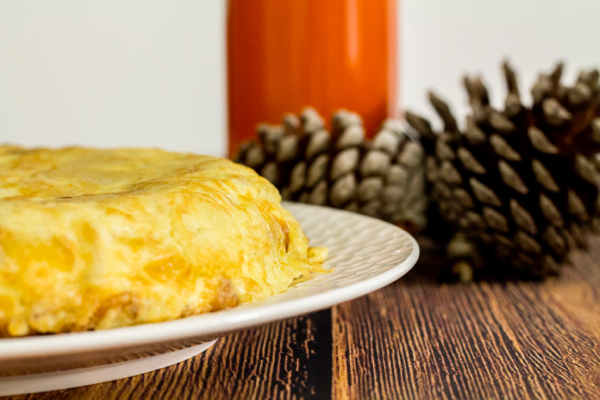 If you don’t want it too dry like an omelet, make sure you stop it before it gets dry. Put on a nice plate and serve it with an aioli and some cereals bread. How did it go? Did you guys win?